What does the Bible actually say about gender identity? 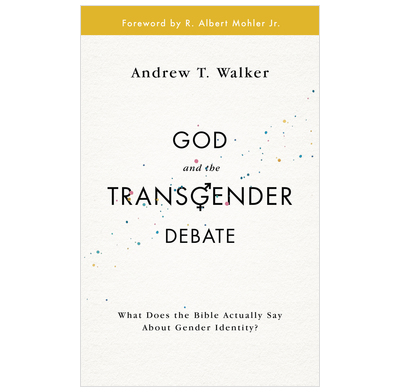 Andrew T Walker is the Director of Policy Studies for the Ethics and Religious Liberties Commission of the Southern Baptist Convention. Topics like this require a mixture of compassion and clarity, and Andrew Walker writes with both. This is a hugely helpful introduction to a complex, controversial and often painful subject. Andrew Walker brings a sharp mind and pastoral heart to a complex and often painful issue, and the result is a hugely helpful resource for the church today, full of wisdom, grace and truth. I recommend it highly. "Definitely a book to make use of"
I would agree with the other testimonials shown here. It was a relief to find a book which covers the ground in such a well-informed yet incredibly gentle way. All of us are getting so confused by the gender debate, we really need help to make sense of it - the terms being used, and the philosophy implied. Here we get both theological principles and pastoral warmth: we'll be needing all of that! The writer tackles a subject that many Christians are reluctant to face or talk about. His real life honesty and high view of scripture, rate it highly in my opinion. I've bought several to pass on to fellow leaders, as I think every Bible believing leader should read and digest, and enter the arena that we will all eventually be pushed into! A great easy-read, and opens the subject for others to take it further maybe. Great value for a worthy write!